Podcast Beyond | Listen Free on Castbox. On this week's episode of IGN's weekly PlayStation show, Jonathon Dornbush, Brian Altano, Lucy O'Brien, and Max Scoville discuss all the biggest PlayStation news of the last week, offer impressions on some awesome-looking PSVR games to come, share a fun Tony Hawk's Pro Skater memory, and more! 0:00 - Intro 1:45 - News Crunch (Borderlands 3, Driveclub, PS Plus and more!) 34:40 - PSVR Impressions 57:12 - Memory Card 1:07:07 - Trophy Test 1:11:30 - What We’re Playing As always, if you have questions or memories you'd like to share, write in at beyond@ign.com! On this week's episode of IGN's weekly PlayStation show, Jonathon Dornbush, Brian Altano, Max Scoville, and Zach Ryan discuss the first State of Play presentation, our Sekiro impressions, and more! Timecodes: 1:10 - State of Play Discussion 22:22:30 - Sekiro: Shadows Die Twice impressions 48:30 - Zach and Brian leave to rank Switch games 50:01 - Memory Card stories from Tyler and Max! 1:00:41 - Housekeeping Have questions or Memory Card stories for the show? Write in at beyond@ign.com! Nilfgeist may be my new favorite word. Updated controllers for me means better haptic feedback. The old rumble systems in controllers is in dire need of an update. I loved the ham episode, dammit. Let me just say, that I am SO appreciative of the "Adult Language Filter" was kept off this episode. It refreshing to hear people talking about games the way friends do. Naturally. Thanks and great episode. when I heard 'Kinda Funny' I stopped the podcast. They showed ZERO integrity with the Colin Moriarty deal. And I'm not even a fan of his! please stop commenting on games (Fallout) to which you have very little working knowledge on or of the lore. The best thing about every Beyond podcast is Marty, Max and Andrew laughing and kidding around with everything ever, before Alanah comes in with a serious topic and everyone is pokerfaced again. Ojus Deolekar The old best thing was Ryan, Greg, and Collin. And the ol' mom and grop shop, A BAKERS DOZEN! !, and so many other inside jokes. ... I miss the old Beyond. 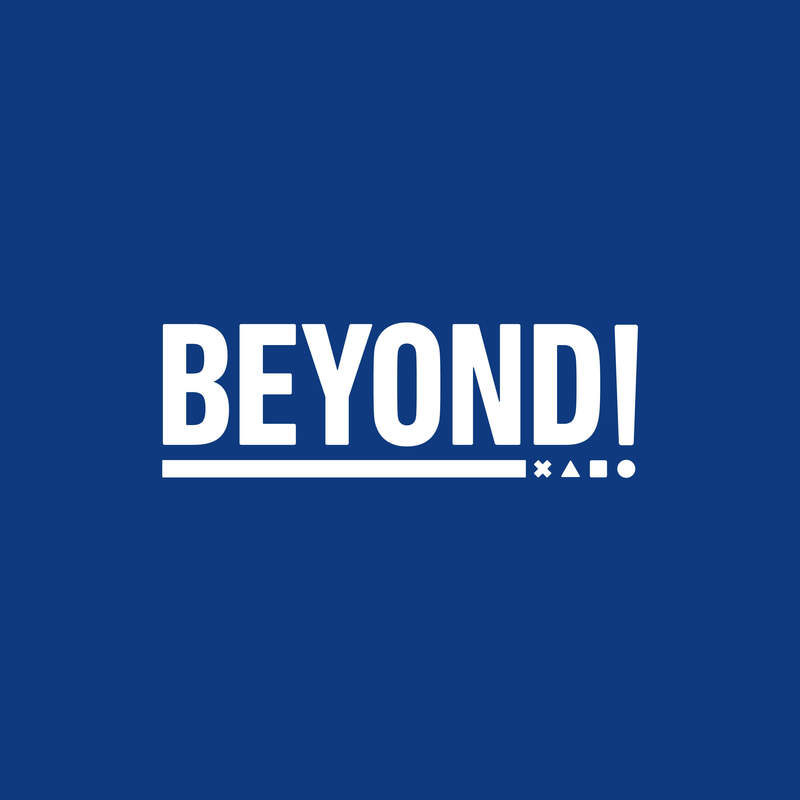 Podcast Beyond, BEYOND!, is hilarous and at the same time gives you the info you want on everything playstion related. If you like IGN, want news for your sony system, and have good laugh, I really recommend this. This is the best podcast in the world that stars Chris Roper, Greg Miller, Jeff Haynes and Ryan Clements. It helps that they almost never miss an episode. MAILSTROM! MAIL FEMALE! BEYOWNED! This is one of my favorite gaming podcasts out there. The crew comes off as a bunch of best buds, it is great to hear them every week. I look forward to this podcast every Friday. Every week there is something new to laugh about, the crew is hilarious. I cannot stress enough how funny it is to hear Gregg Miller start yelling "BEYOND" as well as yelling "PICK OF THE WEEEEEEKKKKK." As a matter of fact it funny to hear the whole crew start yelling "BEYOND." This cracks me up every time! Another plus is that the sound quality is great, I hate when some podcasts sound like they were recorded in a metal garbage that is rolling down some dark alley way. The only negative I can think is there is NO album artwork with this podcasts, please get some album artwork IGN crew... Other than that I fully recommend subscribing to this podcast even if you don't own a PS3, it is an hour full of funny, as well as being informative. Keep up the great work guys, BEYOND!!!!! !